BCDB Rating: 4.2/5 Stars from 18 users. This page has been viewed 198 times this month, and 27345 times total. Cartoon Characters: Manfred, Sid, Diego, Soto, Zeke, Rhino, Start, Saber-Tooth Tiger, Dodo, Sloth, Glypto. Directed By Chris Wedge, Carlos Saldanha. Produced By Lori Forte, Christopher Meledandri, John C. Donkin. Originally Released on March 15, 2002. A group of dysfunctional Pleistocene mammals discover the first American, Roshan, and take him along on their journey south. Roshan is a toddler. "Ice Age" grossed $46.3 million at the box office in its opening weekend. This set a record (for its time) for the biggest opening weekend for a film released in March. 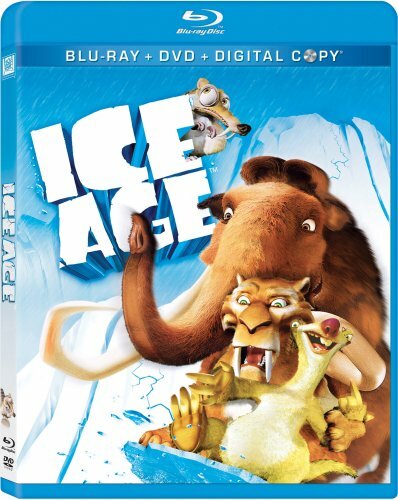 Canadian title: "The Ice Age." Production budget estimated at $59 million. You can watch this cartoon today on your computer. 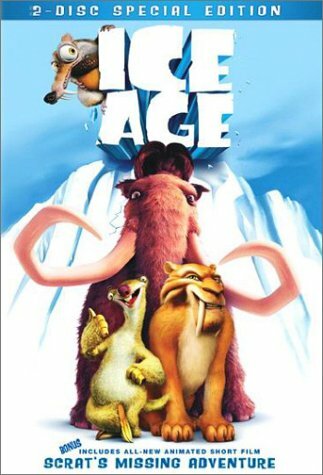 Just click below to start viewing "Ice Age" online now. Do you have anything to add to this page? Have we made any mistakes... or do you have any additional information about Ice Age? If so, we would love to hear from you. Please send us a quick note with your additions or corrections to this page, and we will make the corrections as soon as possible! Below are comments about this cartoon submitted by people who have seen this show. Take a look and see what others have said about Ice Age. We want to know what you think, too!! Feel free to share your own opinion- we do want to hear from you! You can add your own comments here. It's the perfect film for everybody to watch. Ice Age by Big Cartoon DataBase is licensed under a Creative Commons Attribution-NonCommercial-ShareAlike 4.0 International License.